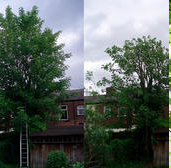 About Us Over 10 years experience in the UK and Spain as an arborist. Graduated from the Merrist Wood Tree Surgery College with 5 NPTC qualifications and a City and Guilds in arboriculture. All our Tree Surgeons are NPTC qualified and meet all health and safety regulations. We hold a £5 million public liability insurance. Services Tree and stump removal, tree reductions, tree thinning, tree pruning, tree planting, hedge trimming, swing installations and pigeon spike installations. All quotes and advice are free of charge. Clients are responsible for applying for council permission if the tree(s) are subject to a Tree Preservation Order (T.P.O) This will apply if the tree is in a conservation area. 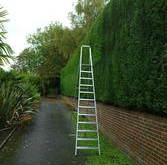 Small works carried out on the tree i.e dead wooding, thinning and crown lifts are not subject to council permission. We are a fully trained, experienced and insured tree company who have provided London's trees with professional maintenance for over 10 years. We are conservationists and sincerely care about trees.